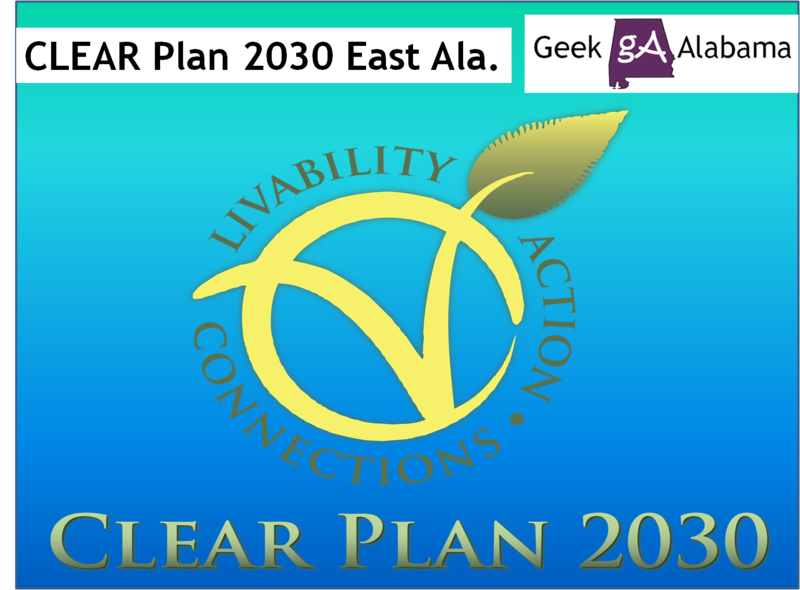 CLEAR Plan 2030 is a citizen based planning project working to improve the lives of all current and future East Alabamians. The project is focusing on improving health, enhancing the quality of life, connecting jobs and housing, providing more transportation choices, and promoting equal access to everything for all residents. 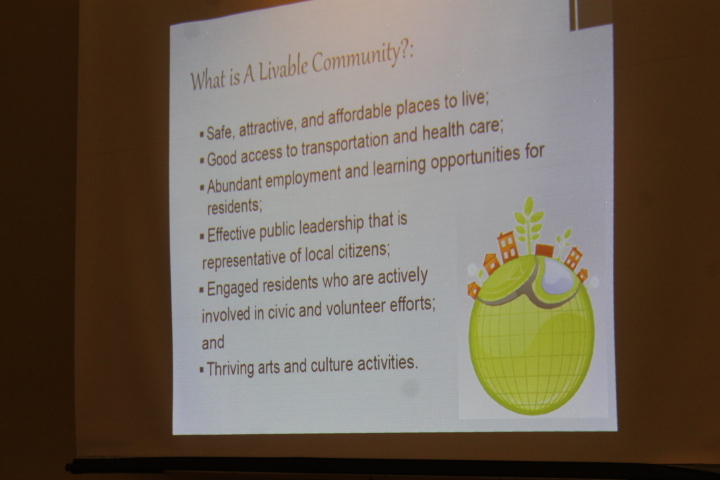 CLEAR stands for Community Livability for the East Alabama Region. 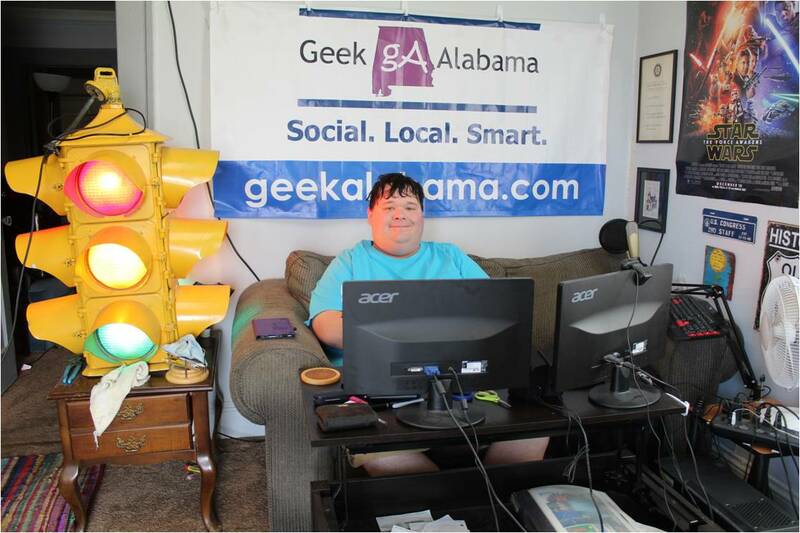 CLEAR Plan 2030 is wanting everyone who lives in Etowah, Cherokee, Calhoun, Cleburne, Randolph, Clay, Talladega, Coosa, Tallapoosa, and Chambers counties to go to their website and fill out a survey. Click on the link to go to the survey! http://www.clearplan2030.org/surveys-in-english. 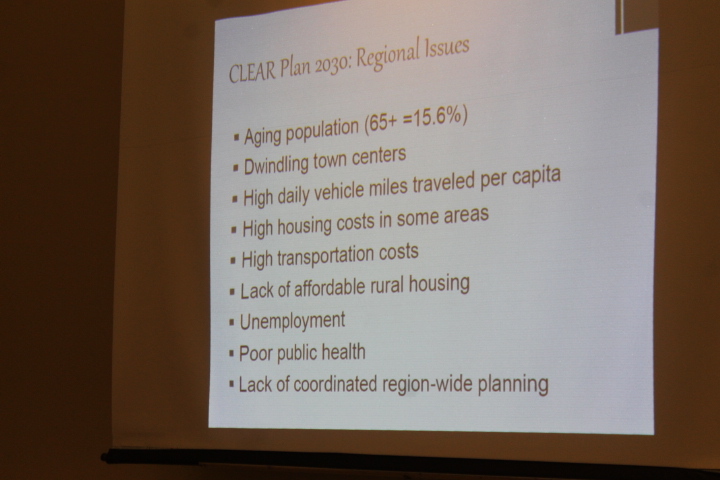 CLEAR Plan 2030 is currently holding conversations in each county to gather input from residents and to talk about the quality of life in the area and what improvement they think needs to be made in their communities. I went to the Calhoun County meeting on Tuesday night at the Calhoun County Chamber of Commerce. 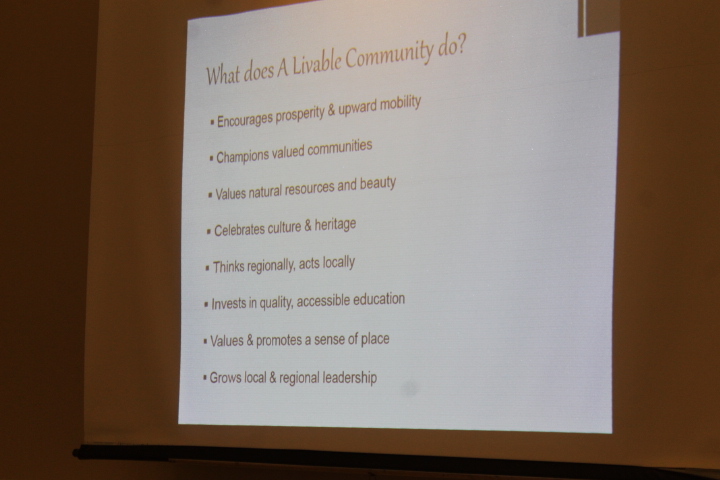 Jennifer Maddox talked about regional issues in East Alabama and what is a livable community and what it can do. Then Johnnie Aycock gathered all the people into groups for a group exercise. In the CLEAR Conversation Visioning Exercise, the purpose was to let residents of the region have a clear voice about what they want to see for the future of the region. The first question was: What do you love most about living here? The answers from the people included outdoor activities, climate, location from Atlanta and Birmingham, compassion of people, affordable living, cost of living, ease of car travel, good medical system, good people and friendliness, community involvement and volunteerism, beauty of the area, small town atmosphere, family oriented, education system, and things to do at night. The second question was: What do you think needs the most improvement and what should we do to address it? The answers from the people included unemployment and good paying jobs, better schools, better Pre-K programs, improving crime, leadership getting along, better media coverage, solving the homeless problem, keeping people in the area, not be dependent on one industry (military and textile), getting public transportation, environmental problems, things for young people to do, deep tradition of poverty, and a self-image problem. 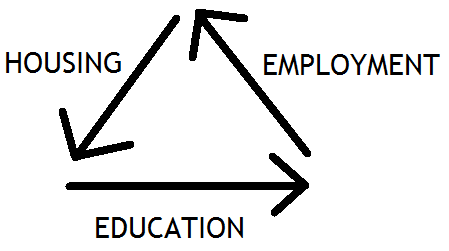 I also wanted to talk about this triangle. For a region to work, you need good schools, housing, and employment. If one of these is not working, the region can not work! The third question was: What do you hope to see in your community five years from now? The answers from the people included Anniston being a tourist destination, completion of the bike trails, Anniston becoming a eco-tourism hot spot, encouraging people to live in Anniston, better jobs and employment, better schools, innovative and strategic leadership, region working together, being a self-sustaining community, affordable retirement, better farmers market, attracting entertainment industries, getting a technical high school, better training for jobs, homegrown and employable workforce, improved well-being of wellness and lowering obesity, and the possibility of high-speed rail. 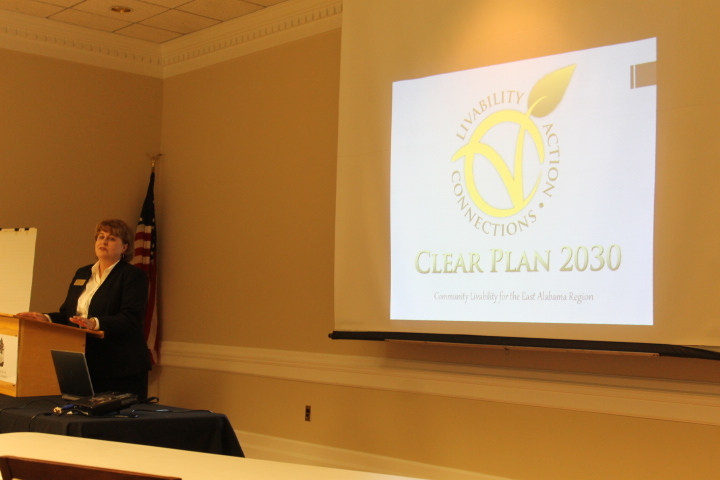 The CLEAR Plan 2030 team is holding meetings in each East Alabama county through April. Go to http://www.clearplan2030.org/conversations to learn the dates!